You know that saying, “If it sounds too good to be true, it probably is?” If you don’t, I’m worried for you. That statement is said so often because it usually does ring true. I, however, have found an outlier; my new favorite app and go-to dinner option, Sprig. Sprig is a food delivery service that offers four different meal options for lunch and four for dinner, available Monday through Friday. The options are organic and made with sustainable meats, and there is always at least one vegetarian and one gluten free option. Calorie count and nutritional info are available for every meal too. And the too good to be true part? Correction, parts. Meals range from 9-12 dollars, delivery is $2.75, the food arrives within 20 minutes, and you are not allowed to tip the delivery person. 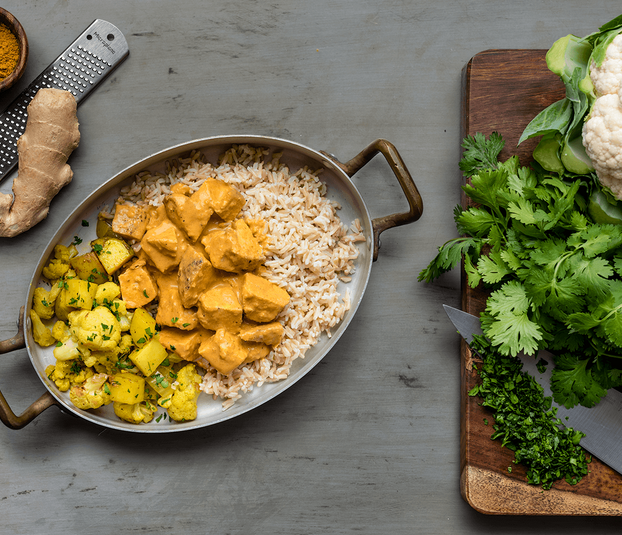 I have now ordered from Sprig multiple times, and my favorite dinner is definitely the Chicken Tikka Masala, a healthier version of the Indian favorite that is usually loaded with cream. So, what are you waiting for? Sprig it up!